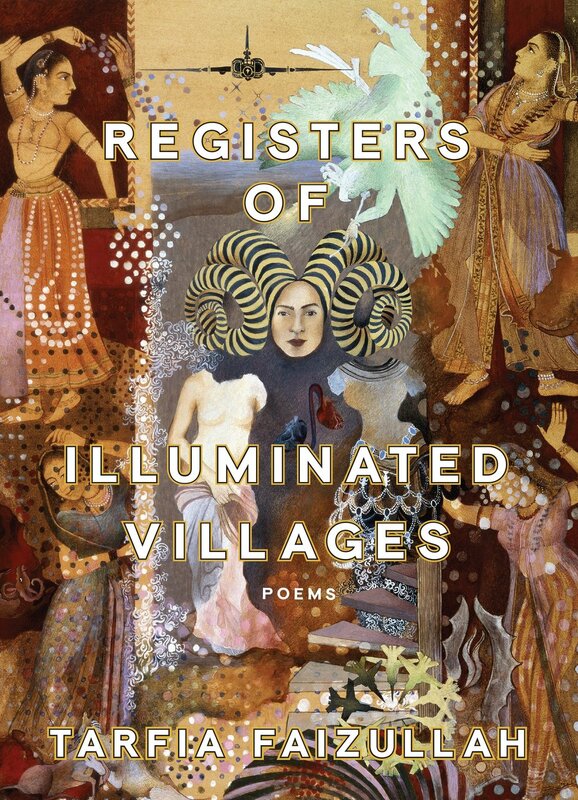 Tarfia Faizullah’s new collection from Graywolf Press adapts its title from its first poem, “Register of Eliminated Villages.” The eponymous register was referenced by Kanan Makiya in a 2002 episode of Frontline and referred to a hand-written book that recorded 397 Kurdish villages in northern Iraq that had been eliminated at that time. From this wide-lens frontispiece, one might assume Registers of Illuminated Villages to be a broad, sweeping look at the violence of the Iraq war, or war in general, or xenophobic violence the world over. The book’s purview is much more personal than this, however, looking at the violence both physical and emotional that has shaped the speaker's life and the individual lives around her. The various definitions of “register” are referenced and employed throughout the book—written lists, changes in pitch, sought-for records of memory. In the book’s opening poem, Faizullah moves from the unspeakable tragedy of those Kurdish exterminations to the small portrait of her parents in bed, her father seeking a written sign of her future. for the promise of my name. their smallness. Her corpse. My fingernails. register of her seven tongues. Ready? Let’s begin. Verse 0. Surah 1.
unearth the softness in you. but once you were a little girl, and so was I. There is regret and fatigue and grief draped across those words, but they are still standing on the page, and she is still here to speak them. Despite the register of loss she testifies to in this collection, Faizullah still has a voice. As she writes in “IV and Make-Up Homework” after describing the agony of a childhood shoulder injury and subsequent treatments, “Mornings begin anyway.” We keep waking up. We keep breathing with these corruptible bodies. After enough of those mornings, Joy-in-the-Margins might just emerge. David Nilsen is a freelance writer living in Ohio. He is a National Book Critics Circle member, and his literary reviews and interviews have appeared or are forthcoming in The Rumpus, Gulf Coast, The Millions, The Georgia Review, and numerous other respected publications. You can find more of his writing at davidnilsenwriter.com.